The month of June is always fun around here because the Handy Man and any of our children who are over the age of 12 get to go to G.A.P. The Gainesville Aid Project (GAP) has been in existence for 33 years now, and the Handy Man has been part of it for 32 of those years. In the early years, he went as a favor to his sister because her youth group needed a driver. He never stopped going, and now the Handy Man is something of a GAP institution. We have been able to send five of our children to GAP. GAP is a ministry of Antioch United Methodist Church in Gainesville, Georgia. GAP extends aid to the elderly or infirm in the local area–everything from building wheel chair ramps to mowing lawns, cleaning houses to repairing porches, cool-sealing roofs to painting. The Handy Man has replumbed houses, remodeled bathrooms, and built countless wheel-chair ramps. This is the first year Lindy has not been able to participate at all, and I know she was very disappointed. The other girls enjoyed their time serving others, though. 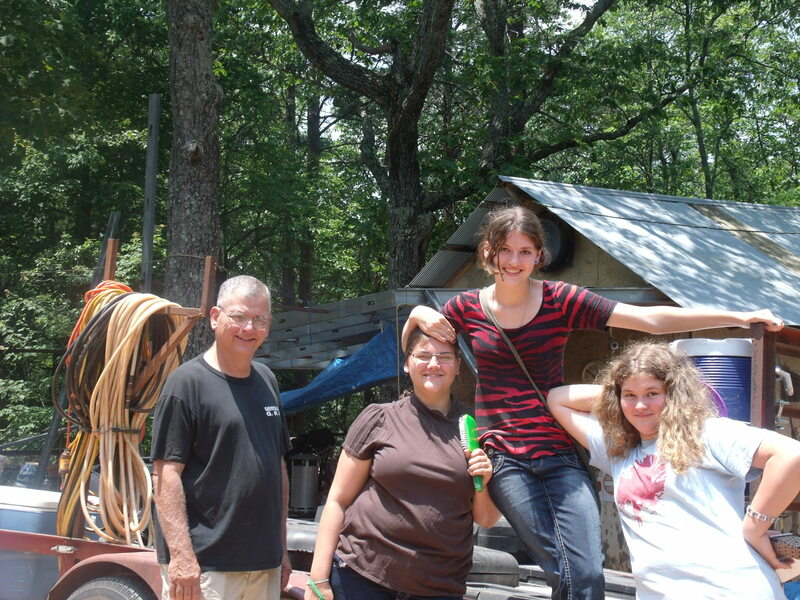 In fact, the Handy Man took nine teens from our homeschool group to GAP last week. GAP runs two weekends in June, Wednesday through Sunday, followed by a week off, and then the following Wednesday through Sunday. They work on Thursday, Friday and Saturday, and there are fun activities each evening followed by worship. I get to go visit the Handy Man and the girls on Friday evening…it is a highlight for Little Princess, Lil’ Adventurer and Curious George! We also go down for the Sunday worship service. While my crew is away at GAP, I get to hold down the fort here on our mountain. The first week we had a lot going on–Little Princess had her birthday the day everyone left, and we had a party and other activities that week. The second week we stayed home and did a lot of laundry. 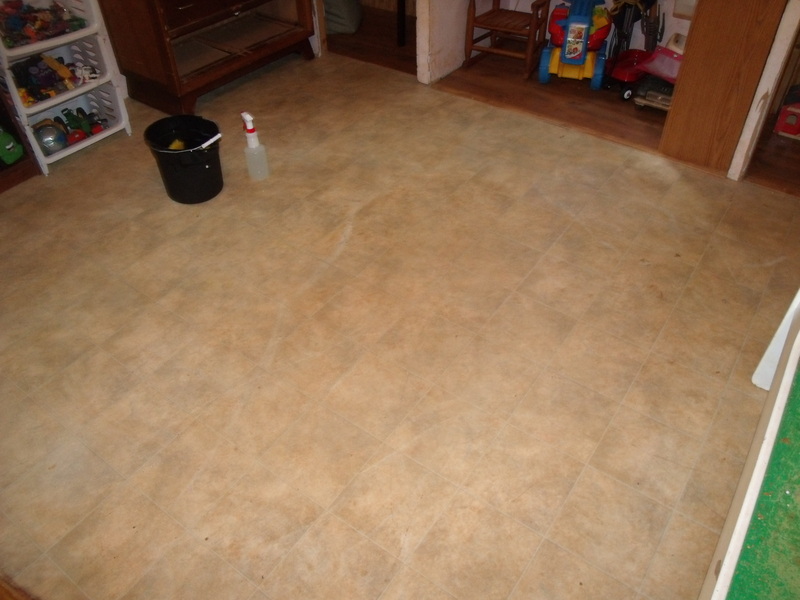 We also cleaned the boys’ floor–it was in dire need of a good cleaning. Little Princess and I bleached it and cleaned their room. We were exhausted by the time we finished that on Saturday! Monday we had to go back to the garden. We had not been out there in almost a week–there is NO way that I could take the boys out there! The green beans had come in with a vengeance. 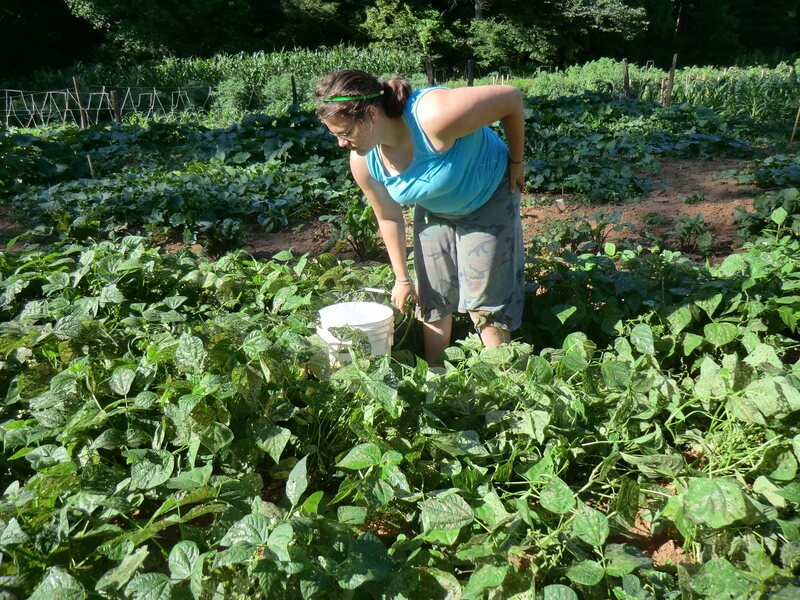 The girls and I picked five gallons of beans on Monday and then ten gallons on Wednesday. This morning we went back out and picked all three rows for the second time, and we got another 8 or 9 gallons of beans. We have canned 54 quarts of green beans this week. I also picked beets this morning and I have two quarts in the canner right now. My, how the squash have grown! Little princess considers our jungle. 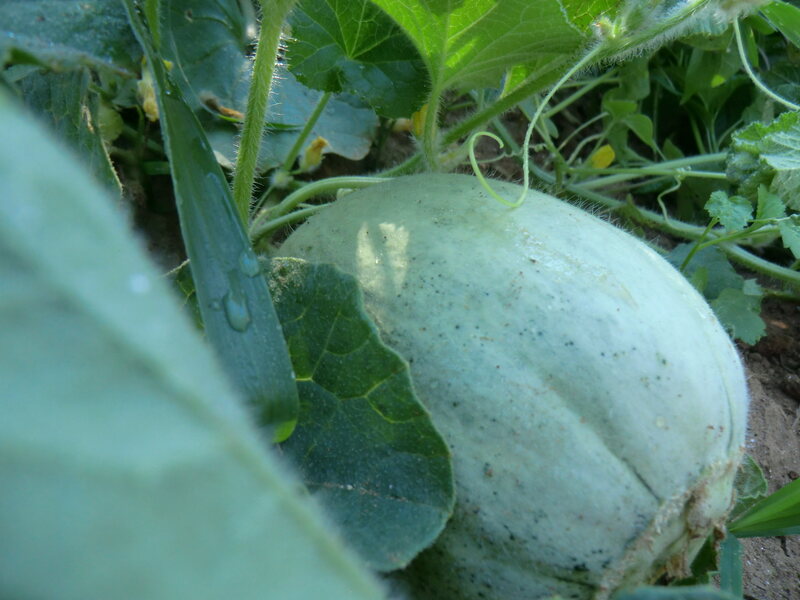 our squash a month ago! All this canning has been exhausting. especially since this week the temperatures have been in the triple digits. Added to all the canning, Dee and I have been looking at colleges this week. We toured one public college in Dahlonega and had a great visit with the music department chair over there. That day the girls also went to a Bible study hosted by the PCA church over there. Thursday we visited a local Christian college. That was the day it actually hit over 100 degrees, and their golf cart was in the shop, which meant we walked all over that campus in the middle of the afternoon. I think I had a touch of heat exhaustion after that! Dee has been accepted to dual-enroll at a local college for this up-coming year. She will be taking college English and History there. All three girls will be taking science from a lady who teaches in a local studio, and Dee and Star Child will have Spanish III and Analytical Literature at the same studio. Dee will be taking her math at home, as well as government, but that is about all. We are transitioning to college status with her. It is a bittersweet time for us. We have been schooling all summer in order to prepare for Dee not being here as much in the fall–I wanted to get as much out of her way as possible to make it easier for her to get her college work done. 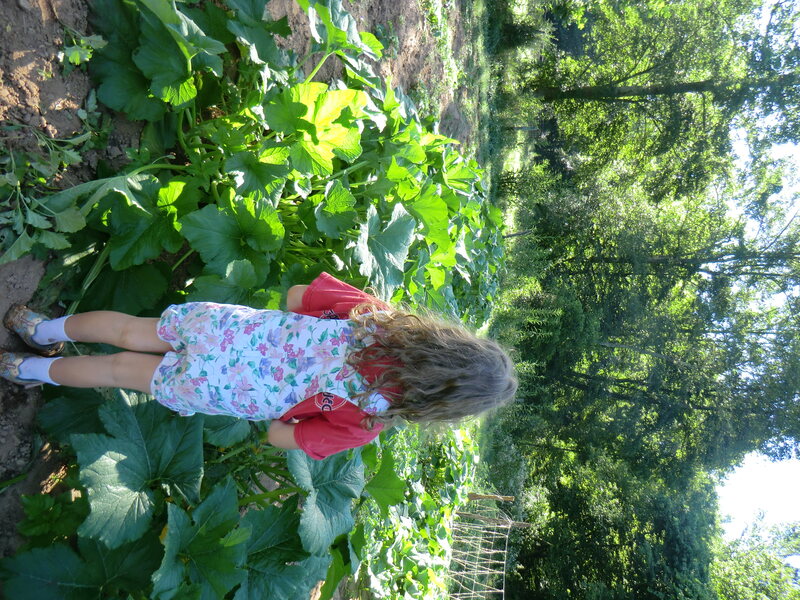 Between the schooling, the college visits, and the garden and food preservation, it has been a busy time! In the midst of all this activity, the Handy Man is still looking for a job. And we recently decided that we needed to seek a different church home, at least for a while. It has been a year of transitions and difficulties–but it has also been a year of great provision from the Lord. He has blessed us beyond all we could ask or think, and while finances are getting tighter, we have all we need. So many don’t have even that, and we know how very blessed we are. I don’t want it to sound like we are the perfect family without woes or difficulties. We have plenty of those, but as I look back over the last few weeks and months, I see how our Heavenly Father has cared for us and provided for us in ways we least expected. We don’t know what the future holds, but we do know Who holds our future. Of the two things I could know, I would much rather know that it is the Lord whom we trust. The next few weeks promise to be as busy as the last few weeks have been. I will keep you posted as we continue to harvest our garden and visit colleges. Come see us if you are in the area! Beautiful garden. I’d love some tips on weed control. You handle it nicely. Also, I enjoyed the encouragement in your words. You are right. God does hold our future and aren’t we blessed because He does. We are not all the good at weed control, but the thing that we do well is use the tiller between the rows. 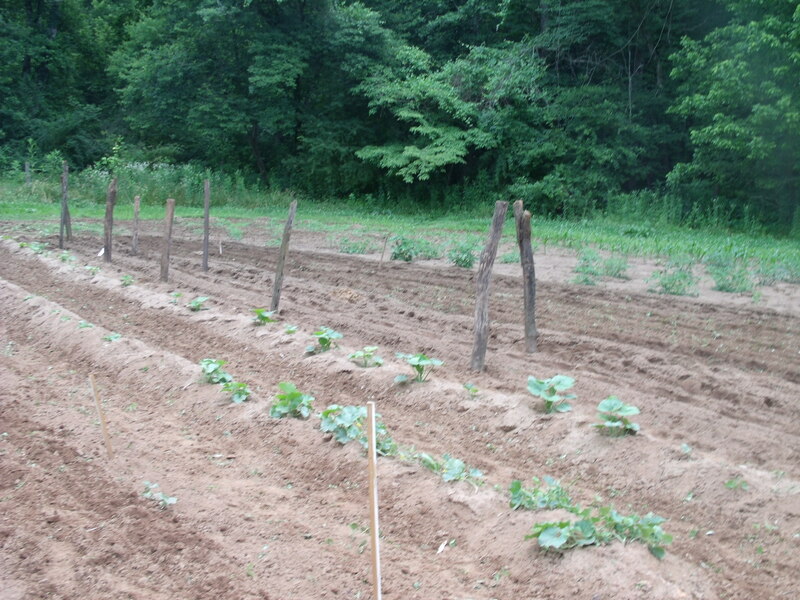 Mr. Bill taught us to do that–you have to plant your rows far enough apart to allow the tiller to get between them. We pull weeds by hand from between the plants in the rows. Once the running plants start to go, like the cucumbers and squash, we have to just catch the weeds when they get bigger. It then becomes a game of catch-up with the weeds, and by the end of the summer, the weeds are definitely winning. If we had more time (or if we took more time) we could probably do a better job, but who really wants to take that kind of time? ?